There are lots of small changes you can make to help keep your gas, electricity and water bills down. Simple things, such as drying washing on the line whenever possible instead of using a tumble dryer, switching off lights when you leave a room, or showering intead of having a bath, can all add up and save you hunderds of pounds a year. There's nothing to lose, so give the suggestions in this section a try, and save some money! Even when you receive your electricity bill it can be quite difficult to work out how much energy you have used. Cardiff Council has introduced a new scheme to help you keep an eye on your bill. You can borrow a small meter from your local library, free of charge, which shows how much electricity you are using at any time, and how much it is costing you. When you switch on the kettle, or turn off the tumble dryer you will be able to see your electricity use change, and can get a good idea of how your lighting, appliances and other electrical items affect your bill. This can help you change how you use certain items in order to reduce your costs. The meter is very easy to install - you simply clip it on to an electricity cable near your meter, and it will give you an immediate reading. 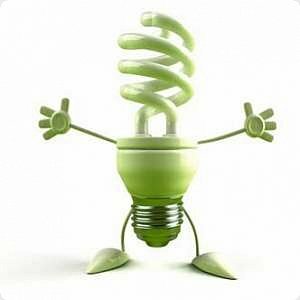 There are lots of very simple steps you can take to reduce your energy use at home - click here for ideas or visit the Energy Saving Trust or Energy Saving Advice websites. If you are struggling to pay your bills get in touch with your gas and electricity suppliers to see if there is anything they can do to help. They may be able to offer you a better deal or suggest ways of reducing your bills, for instance by paying by direct debit which is often cheaper. Once you know the best deal your supplier can offer, you can compare this with the other energy companies. There are price comparison websites that you can use to do this - for further information on how to switch click here. If you would prefer to speak to somebody direct you can call the Energy Saving Trust Helpline on 0800 512 012 , the Home Heat Helpline on 0800 336 699 or the South East Wales Energy Agency on 0800 622 6110 for free, independent advice. Myths - is it right that.......?